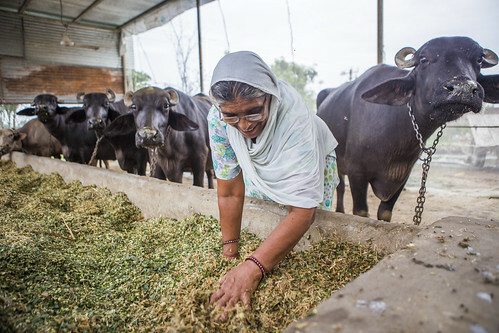 Small-scale farms mixing crops and livestock, such as this one in India, will feed a growing world population (photo credit: CCAFS/Vishwanathan). An article published this week (18 Nov 2014) in the online edition of Kenya’s Standard newspaper highlights the important role that mixed livestock and crop farms will play in feeding the world in coming years. According to the article, ‘farmers who mix growing crops with rearing livestock in both poor and developed countries, not only boost food security efforts’, but also earn much needed income in the process.